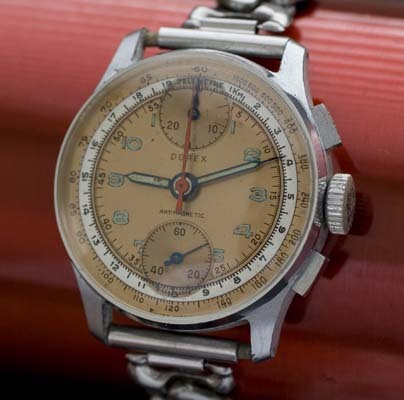 A fine vintage Chronograph with unusual registers at the top and bottom of the dial. 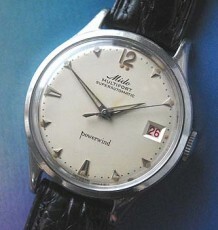 Using the valjoux calibre 170 movement. This watch features a copper coloured dial and radium luminous Arabic numeral hour markers. This Dorex watch is one in a long heritage of vintage Chronograph watches simply known as Chronograph Suisse. Swiss Chronographs made by local craftsmen using established movements made by larger companies and sold as Ebauche movements to smaller companies. 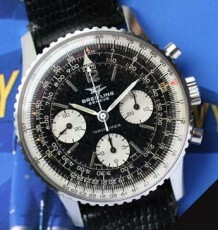 This practice was also used by well know brands such as Rolex, Breitling and Hamilton. The use of another companies movement avoided the massive cost in developing and refining a movement. The Copper coloured dial is truly spectacular and unusual configuration of chronograph registers at the top and bottom of the dial is a novelty. This pattern is similar to older regulator clock and pocket watches. The Arabic numerals on the dial are printed in radium and fact that the hands are also radium filled make the face of this watch very legible. 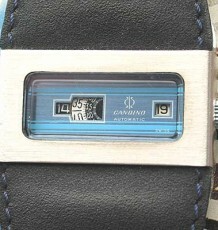 The case is in excellent condition with the square chrono pushers showing no wear to the chrome plating. Inside the case is fully signed Delba Watch Co Swiss and the 17 jewel movement is also signed Delba. The bezel and case back are solid steel while the case middle is chrome plated. The case is the perfect size to be worn by a man looking for a subtle watch with style or a woman looking for a sporty statement piece. The case measures 32 mm wide by 38 mm long. 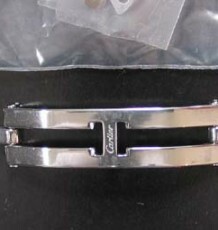 Buyers have the choice of the expansion bracelet its on now or a black or brown leather strap.